I love love LOVE marshmallows! 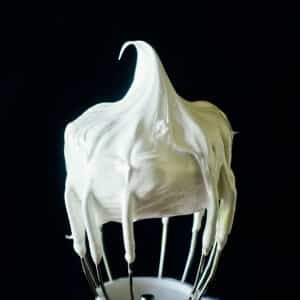 And soft squishy marshmallow frosting, creme or fluff (whatever you want to call it) is AMAZING! On top of cake, tarts, ice creams, etc.. This is ONE of TWO recipes! 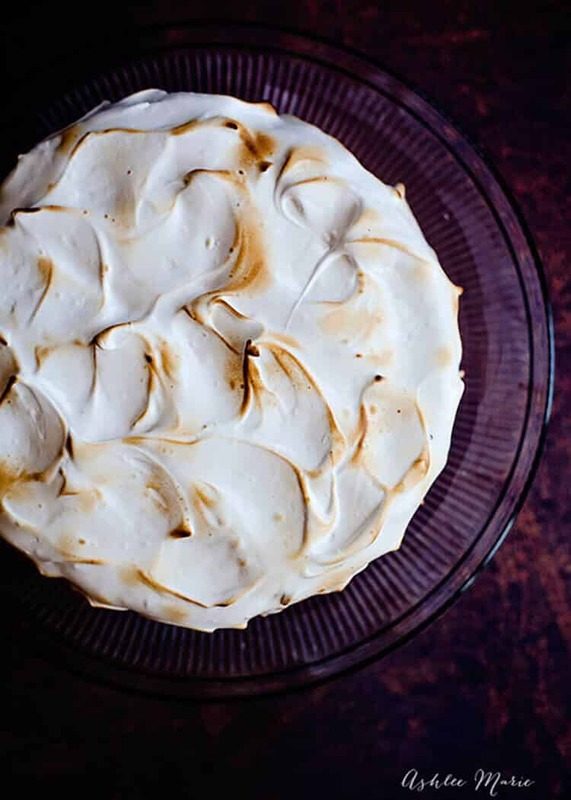 This is the easier, softer recipe, click over to this slightly more complicated and slightly more stabilized Marshmallow Fluff. It’s softer than a buttercream but can be dolloped, spread or piped. Homemade is AMAZING! you will love love LOVE this! BUT it’s my favorite icing to use on a chocolate cake at home. For an extra treat I like to take a torch and brown the frosting! It’s also great as part of a trifle, with chocolate cake and pretty much anything else, pudding, crushed candy bars, etc… This video starts with this recipe then moves on to the more advanced recipe. I love love LOVE to serve this in my Hot Chocolate or on top of my Frozen Hot Chocolate, something about Hot Chocolate and Marshmallows that I just adore! I’m not sure if there anything chocolate I don’t love this on, it plays a staring role in my S’more Ice Cream! Put eggs whites, sugar and corn syrup in the top of a double boiler over boiling water and beat with a hand mixer until it turns white, thickens and ribbons form- about 4 mins. Transfer mixture to a room temp mixing bowl,(or place warm bowl into a bowl if ice to cool it down) add vanilla and beat with electric mixer with whisk attachment on Med high until stiff peaks form- about 3 mins. Can I just lick that beater? I do ALL THE TIME! it’s seriously SO good! Thank you so much for sharing your knowledge on marshmallow frosting, I was actually going to use it for the layers of a wedding cake! Phewww!!! I didn’t know it wasn’t strong enough to hold up! This looks really good! I just wanted to know, if I make this recipe, about how many cupcakes will I be able to frost? This recipe only contains 4 1/2 total ounces of sugars compared to most other similar recipes (ex: 7 Minute Frosting) that call for 1-1 1/2 cups of sugars…hmmm is this the correct amount of sugars? Thank you in advance for answering me Ashlee. yup this is the amt I always use. 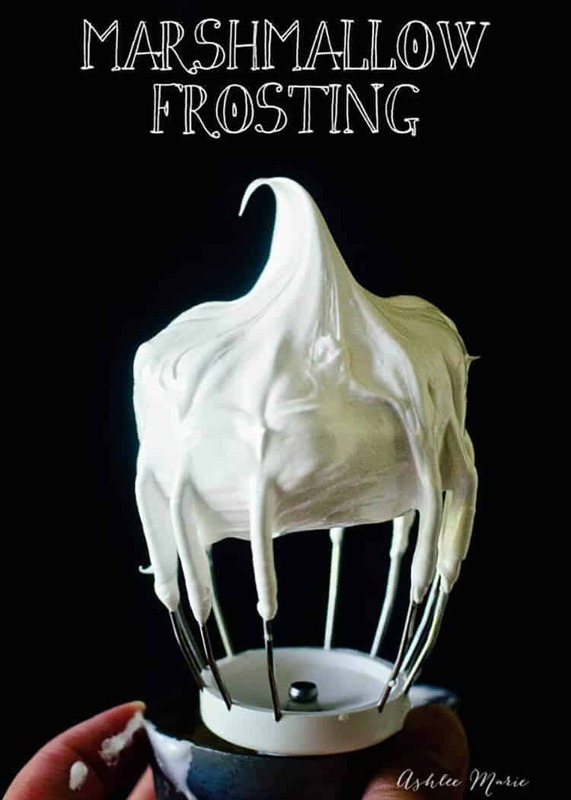 Hello, will the frosting melt/wilt? I’m going to frost a cake with it and I”m wondering if I should wait to make it day-off or if I can frost the day before? Thanks! Can you tell me if this would hold up as a whoopie pie filling? If not, how could I stiffen it up a bit to work inside a whoopie pie? Can I use it to decorate a wedding cake?